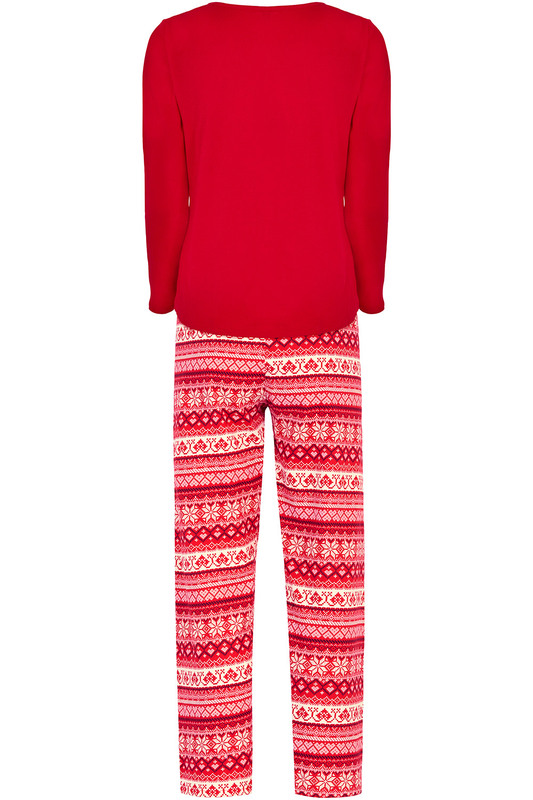 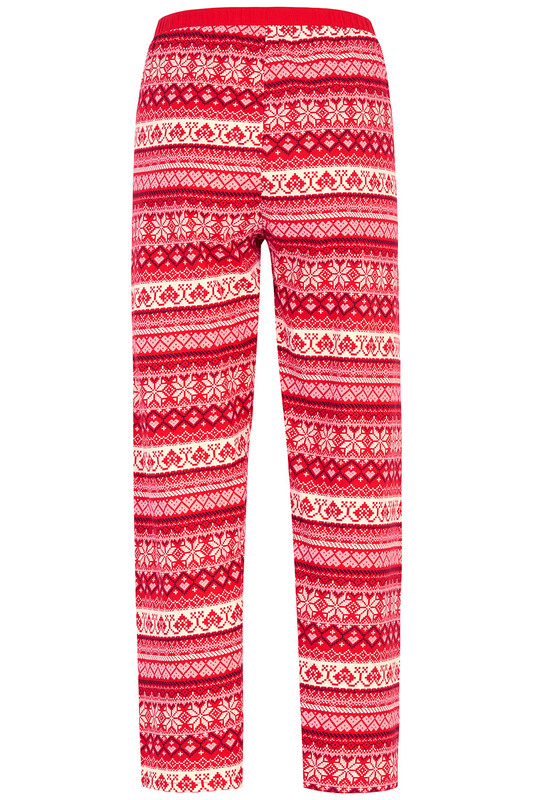 Get in the festive spirit with these playful pyjamas, featuring a seasonal Fairisle print on the bottoms. 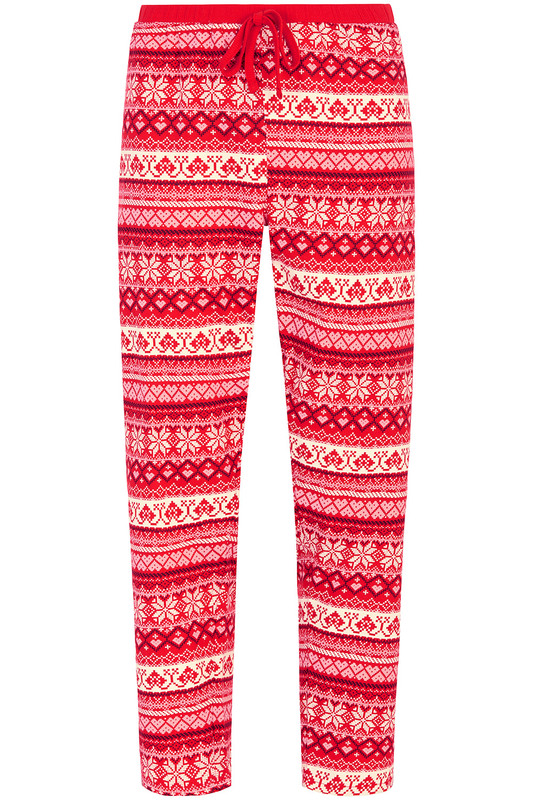 The tapered shape is sleek and flattering, perfect for lazy mornings. 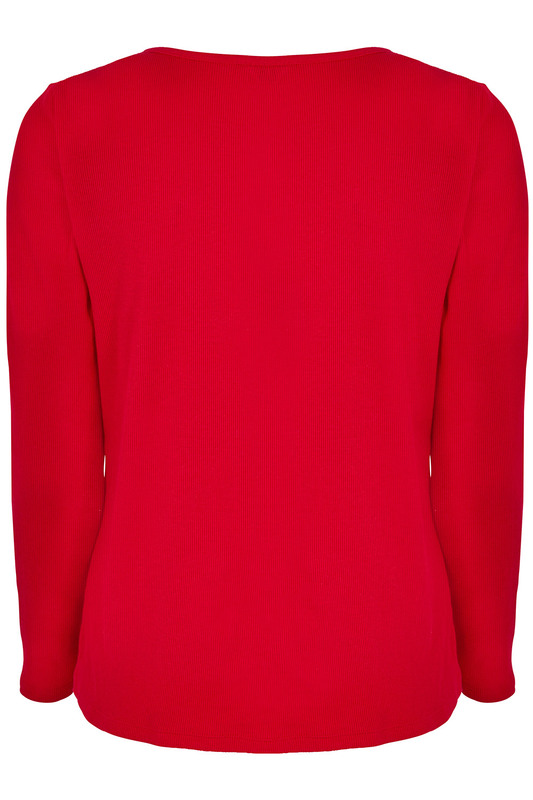 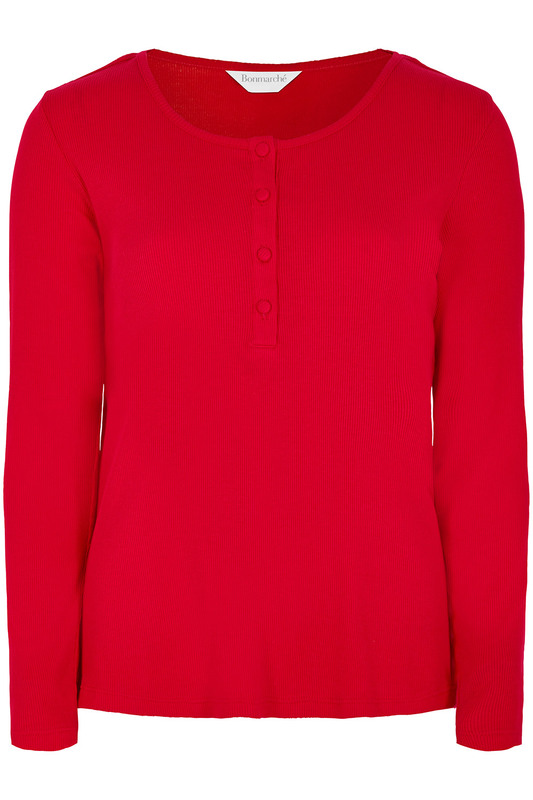 The long-sleeved top is plain with a ribbed texture and has a stylish round neck with buttons. 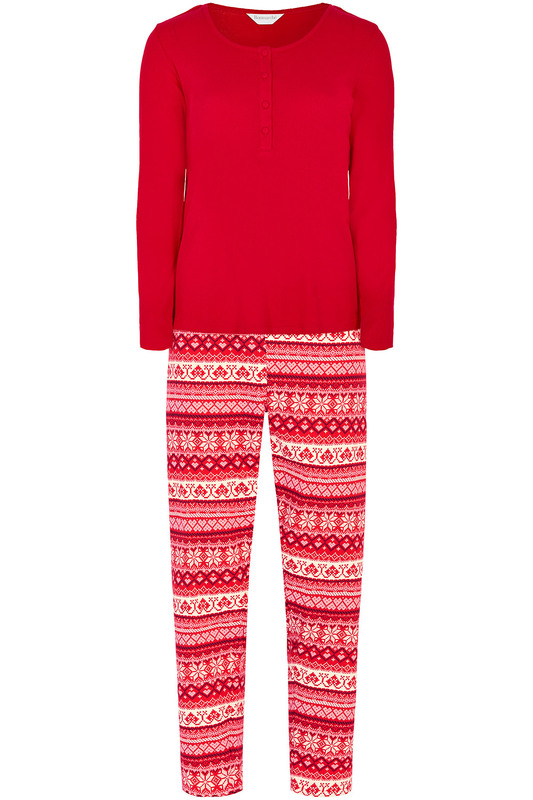 Made from pure cotton, these pyjamas are naturally cosy as well as breathable.